Is there an available parking space? Every student and client of ours has access to a free 3-hour long parking spot in front and around the building that we are situated in. This time period is more than enough for you to attend even two of our training sessions either in the morning or evening. 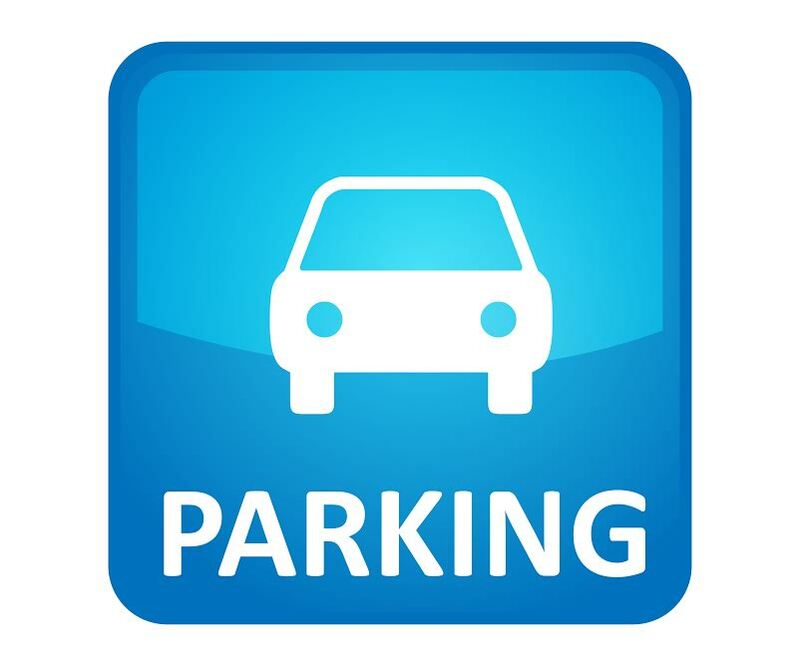 All you need to do is take the ticket given to you upon entering the parking and ask us how to use it. How can i reach the dojo? What means of transport are most suitable? Our training facility is really easy to find due to it’s great location. The exact address is “Cherni Vrah” Boulevard N47. Right beside us you will find the German global discount supermarket chain LIDL. To get to the dojo you might use Bus number: “88” and “120”. If you travel with a tram, you need to board number “10”. 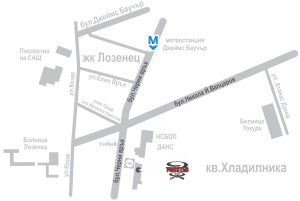 You can also use the Line 2 metro station and get off on the station called” Vitosha”. This will situate you around 300 meters away from our doorstep. The easiest way to start would be to just enter the dojo. Too often in life we know what would be best for us but we don’t follow through with the decision. To make your choice easier and to minimize all doubts, we offer not one, but two completely free classes. These pro bono training sessions will help you to figure out if this sport suits your needs and if we provide you with the needed environment. We strongly believe in the bond between teacher and student. This is why we would like you to try the sport for free to get to know us and make a choice if you are ready to trust us as your instructors. Is it mandatory to train during my first visit to the academy? You are more than welcome to come, get acquainted and watch the classes. We have provided an area with sofas to suit this purpose in a comfortable manner. The so called “GI” is more widely known as a “kimono”. This is the uniform, used by most eastern martial arts. 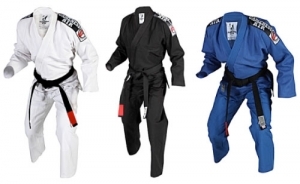 It is the main gear in brazilian jiu jitsu and it consists of 3 parts – jacket, pants and belt. The kimono is made of cotton and it is with reinforced cut in order to hold the fabric during the hours of vigorous training, jiu jitsu practitioners cherish and handle their kimono the same way a knight would his armor. Most of the best athletes in the sport have attributed their success to the training in the kimono. The GI is strongly recommended for beginners also. Is brazilian jiu jitsu suitable for anybody? Absolutely! Anyone can learn to execute the techniques, which the creators of BJJ – Carlos and Helio Gracie, two men, weighing in at no more than 62kg, have incorporated in their fighting system and revolutionized the martial arts world. Their life’s work has been continued by their students. This is why brazilian jiu jitsu allows the much smaller and physically weak person to defend himself from the attacks of a larger and stronger opponent. Bjj is suitable for smaller as well as bigger people, regardless of their age and gender. Our youngest member is currently 3 years of age and our eldest – 56. What is the difference between GI and NO GI training? In contrast of the GI, which is the standard uniform in Brazilian jiu jitsu, NO GI trainings are conducted while the students are wearing only shorts and rash guards. When people train with the GI, it is allowed to grab the material and even use it as a weapon to submit their partner with it. We strongly believe that in order for anyone to achieve a high level of jiu jitsu, he or she must train both GI and NO GI and this is why in our schedule we have specific days for both styles. What kind of clothing/gear do I need for my first brazilian jiu jitsu class? You do not need anything special in order for you to start training BJJ. We require only flip flops (for walking around the tatami), a t-shirt (one or two), a pair of sweatpants or shorts (without any metal ornaments, zippers or sharp objects). As time progresses and you begin to be more regular with your training, you will be needing a GI, rashguard and shorts. For your convenience we provide the above-listed accessories and clothing in our store. Is brazilian jiu jitsu suitable for women and children? We here at Twisted Jiu Jitsu have managed to provide everyone, who wants to learn the basic principles, ideas and philosophies of Brazilian jiu jitsu, with chance to do so in a calm, friendly environment. Our team consists of children, women and men. 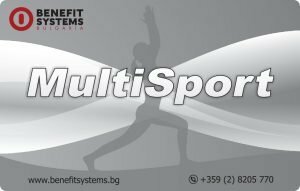 We are especially proud of the fact that whole families come to train side by side in our spacious facility, consisting of two huge tatamis. You can read more about our programs and classes here. 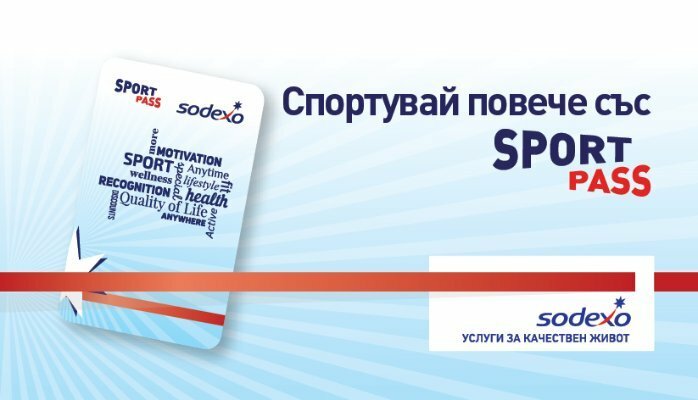 Is it possible for me to train, using my Multisport or Sodexo card? Twisted Jiu Jitsu is the only sports club which offers brazilian jiu jitsu classes to the clients of Multisport and Sodexo. All you need to do is show us your card along with an id so that we can verify your identity and register you in our system. Will my ears get deformed if I train Brazilian Jiu Jitsu? The so called cauliflower ear occurs in people who train extensively almost every day. This deformation is caused by long periods of neglect and not resting when your ear is hurt. It is not something which happens overnight and there is usually plenty of time to take measures. Still, these inflammations occur on different occasions: hard blows to the ear, friction and so on. What we can guarantee is that our beginner program, we explain to everyone how to train safe. As a preventive measure we can provide you with ear guards, which are designed to protect you from an unwanted injury. Must I be in shape to start training BJJ? A Brazilian Jiu Jitsu workout by itself is a great way to get in shape. The movements you will learn and the stress on the muscles, combined with the aerobic exercise will be more than enough for you to start loosing weight fast without being bored by your training regimen. Must I compete if I start taking lessons in brazilian jiu jitsu ? Tournaments are a vital part of every sport but no one is obliged to take part in them. Competitions are in order for the participant to test himself in a different environment after he has already gained a certain amount of knowledge, skills and confidence. We regularly take place in both national and international tournaments not only to get more experience, but also to have fun! Could I train mornings only? Our schedule is put together in such a way, so that anyone can be consistent in his brazilian jiu jitsu journey, regardless of all the daily chores, tasks and obligations – work, school, family. We strive to be as flexible as possible and continue to develop ways to do so. This is the only way people will have access to high quality martial arts training. The morning classes we provide could be the superb start of your day! I will not be able to make it in time for the beginning of the class. Is it better if i don’t come at all? We totally understand that everyone has multiple tasks and obligations throughout the workday. Our responsibilities get more demanding with each year but this should not get in the way for you to find a place to relax in a pleasant and safe environment while you work on your self development and learn new vital skills. You are hardly the first person who can’t make it in time for the scheduled class. All you need to do is warn us about it and if you are late, step on the tatami and wait for the instructor to give you permission to join the class. People who know that they are going to be late almost every time but still have the desire to train, definitely have a place at our dojo. How should I pick the most suitable classes for my level? At Twisted Jiu Jitsu, we have divided all of our regular classes according to the level of the practitioners (adults) and according to the age group (children). To better gauge your level, click on “Programs”, where you will find additional information on every single class in our training regimen. After that, figuring out where you will feel comfortable and what will be most beneficial to you is easy. Is your schedule up to date? We work with a carefully selected team of professionals, which maintains our social media accounts and takes great care of our website. If you notice a problem with it, please don’t hesitate to contact us at once! I have no previous experience in jiu jitsu or any other combat sport. Is it possible for me to learn and get good? Everyone starts off at everything as a complete beginner. Being a novice in any craft is the only way towards success and knowledge. Even if you have had zero experience in martial arts in general, this may actually be a plus. You will be free to learn the basic principles of jiu jitsu without comparing and investing time to unlearn certain traits suitable for other arts, which often get you in trouble. Nearly all our members have been in the same spot as you and only their persistence and hard work has brought them to the level they have achieved today. Are there any rules of conduct that I should pay attention to while in the dojo? Maintain a good hygiene. Your body is not the only thing that needs to be cleaned. Wash your uniform and gear also! While in the dojo, foul language is not acceptable. Respect everyone regardless of their belt or level. Be on time for the scheduled class (if possible 5-10minutes before the start). If you plan to be away from training for a long period of time, inform the instructors. Leave your ego at the door. We all come here to learn. Do not speak and//or interrupt while the instructor is teaching. These are just some of the rules, which if we all follow, the time spent in the gym is going to be as pleasant as it could be.